Located near San Antonio, Texas, the 4.2 acre historical complex, known as ‘the Alamo’ attracts 2.5 million visitors a year. When Ripley’s Entertainment got the approval to set up a museum across the street from the famous Alamo complex, they set out to build the largest and most interactive museum in the United States. 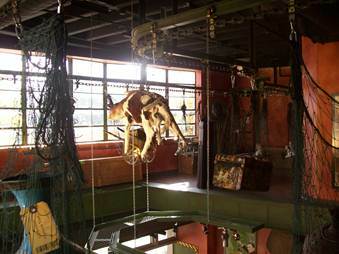 Most often located in prime tourist areas, Ripley’s Believe It or Not! museums are reputed for being one of the most unique, quirky and factually interesting attractions of its kind. The Ripley’s Believe It or Not! Odditorium attraction at the Alamo is a three story Museum of ‘oddities’ – a display of odd findings from Robert Ripley’s world travels. 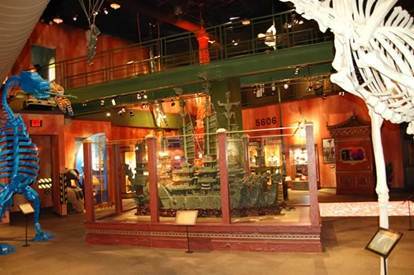 Ripley’s Entertainment wanted more than just a static display of pictures and artifacts; they wanted to create a unique exhibit that would be highly engaging and memorable for all visitors. 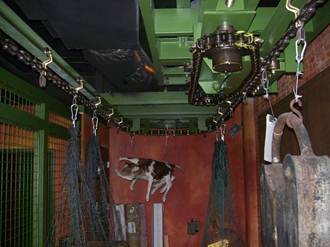 The concept for the new Ripley’s Odditorium involved a conveyor running along the third floor ceiling. It was to give the illusion of cargo (containing artifacts from around the world) being carried over a large hole in the floor (a cargo hold). Ripley’s also wanted as much authenticity and historical accuracy in the display as possible, and requested that the conveyor have an old, rustic look and feel. Once the design was worked out, several additional challenges presented themselves. First, the museum building itself was historic, with old brick interior walls and wooden beams. Installing heavy conveyor track and equipment had to been done in a way that would not damage the building walls or structures in any way. Another challenge was in getting the conveyor equipment delivered to the site which meant accessing the original road built in the 1830’s. This road is used for pedestrian tourist traffic only. It was technically not suitable for vehicles, least of all transport trucks. And of course accessing the building at all had to be done ‘after hours’ so as not to interfere with the constant flow of tourists in and around the area. Ripley’s animation team presented a 3D model of their concept. From this, PACLINE developed the conveyor design which involved a 3” I-Beam conveyor track and chain suspended above an opening in the third floor, with cargo netting below. When it came to delivering the equipment without road access for large trucks, PACLINE installers decided to unload the I – BEAM components in batches and utilize a forklift to transport the conveyor equipment along the historic road up to the museum site. And, this was all carefully coordinated at a time of day when the complex was closed to visitors. Once installed, PACLINE worked with Ripley’s to paint the track so that it would have the old, worn, rustic feel that Ripley’s wanted. This was taken a step further when Ripley’s painted the ceiling and supports black to make it seem as though the artifacts being carried were actually floating through the air. The end result was a one-of-a-kind, moving display of artifacts that appeared to levitate without support before visitors’ eyes. 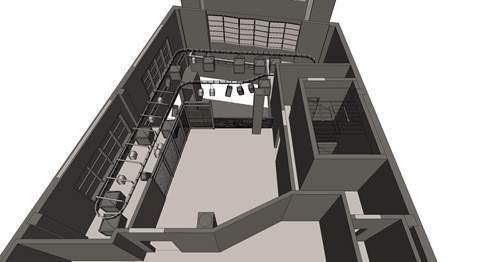 With PACLINE’s help, Ripley’s was able to overcome the challenges posed by the historic location while creating a fun, unique and engaging Odditorium in Ripley’s largest and most interactive museum in the USA!